Blue Cross and Blue Shield of Vermont's fundamental policy of always putting the member first is a part of our everyday culture and applies to our own employees as well. We know that our employees are our most valuable resource and we offer a culture that's professionally and personally rewarding. Consider joining our team and find out what it's like to work at one of the "Best Places to Work in Vermont!" See positions we're currently recruiting for and apply online! 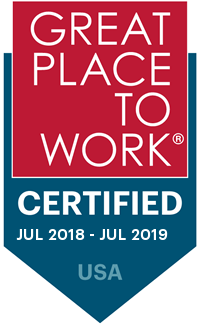 Join the team at one of the "Best Places to Work in Vermont!" Each summer, we hire college students to bring value to both their learning experience and our organization. Our paid internships provide them the opportunity to work on substantive, collaborative projects across departments at BCBSVT. In addition to our competitive salaries, we offer a great benefit package. Moving to Vermont? We've got the information and resources you need.